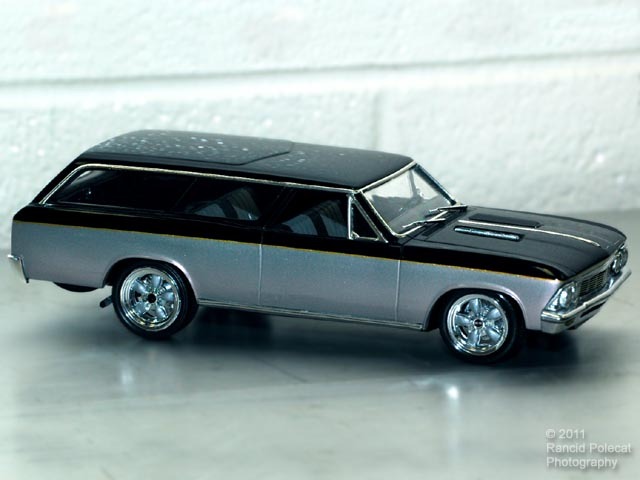 Based on a Revelle 1966 Chevelle Wagon kit, Charlie's model was converted from a four-door into a two-door, similar to the 300 series which was available in 1964 and 1965. Charlie added a photo-etched grille from the Model Car Garage and covered all the trim work with Bare Metal Foil. After re-working the front bumper, Charlie "plated' it with Alclad-2.